How can the user troubleshoot the 5V4160 5HP GV3000 Drive? 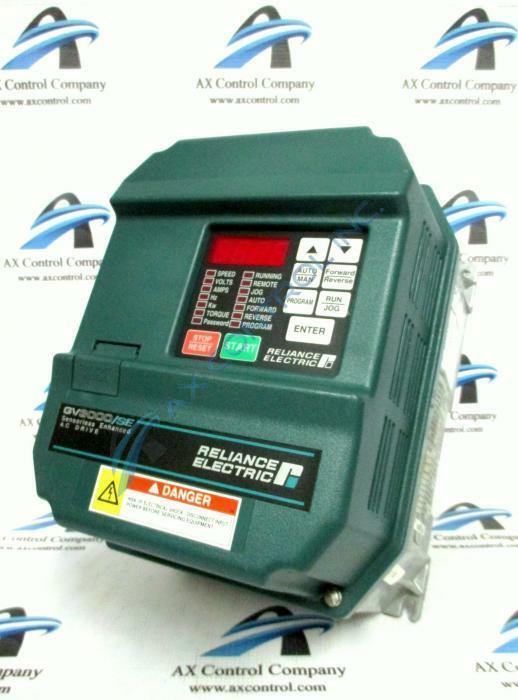 The 5V4160 GV3000 drive by Reliance Electric dispalys fault codes and error codes on the 4 digit LED display on the keypad/regulator board. The Installation and Hardware manuals contains a complete list of fault codes, diagnosis, and corrective actions. AX Control can provide a tech support ticket upon request a customer needs assistance with their drive. Which manuals pair with 5V4160? Manuals D2-3359 and D2-3360 are the manuals that pair with 5V4160. These are the GV3000 NEMA style software and hardware manuals for 5V4160, respectively. For copies of the manuals, send us a request for the manuals for 5V4160. What options can AX Control provide to customers for the 5V4160? What does the "Aln" fault code indicate on 5V4160? The "Aln" fault code on 5V4160 indicates an analog input signal loss fault on 5V4160. This fault cause comes from parameter P.011 being equal to 4 or 5 and 4 to 20 mA analog input below 2 mA on 5V4160 and to correct this fault on 5V4160, you have to make sure parameter P.011 is set correctly on 5V4160. Another corrective action for the fault is to check that the analog input source supply for 5V4160 is below or equal to 4 mA.